It is fair to say that Freefly turned the industry on its head with the announcement of the MōVI M10 back in 2013. The MōVI M10 eliminated the need for camera operators to wear a harness with an iso-elastic arm and counterbalance weight to get steady shots. It was also a smaller and lighter alternative to the Steadicam. Over the last three years we have seen countless 3-Axis stabilised camera gimbals come onto the market which has driven down prices and sparked heated competition. 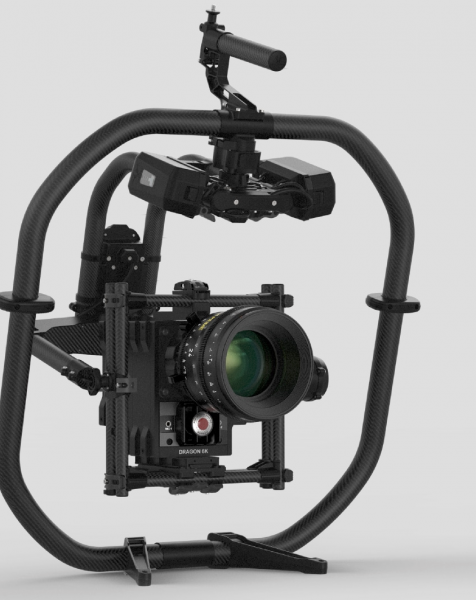 More than 3 years after the announcement of the M10, Freefly is attempting to redefine camera stabilisation all over again with the release of the MōVI Pro. 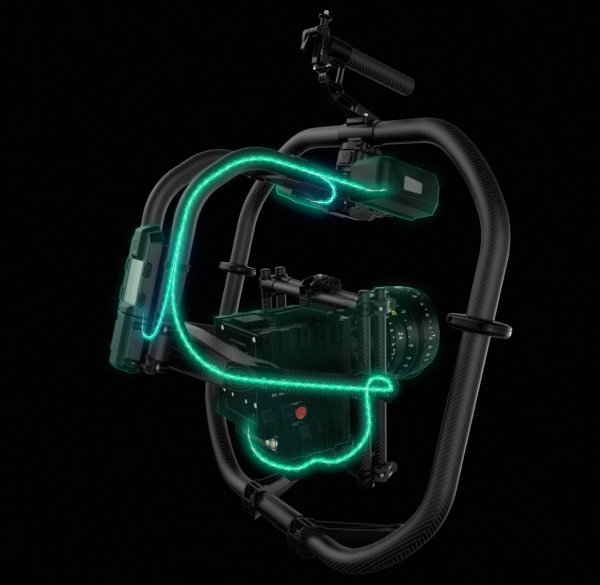 The MōVI Pro takes away the handle bar set up that most users are familiar with and places the gimbal inside a MōVI Ring. While this is hardly a new concept, Freefly has added a lot of great new operational features. The MōVI Pro supersedes the M10 and M15, and has been designed from the ground up to keep you shooting all day without having to power down to swap batteries. By utilising hot swappable intelligent batteries to power the MōVI Pro, camera, and all your accessories, you only need to use one type of battery. The two 25.2 volt MōVI Pro batteries provide power for the MōVI as well as a camera D-tap port (12-15V Adjustable, 6A Max Current), Spine D-tap (12V, 2A), Tilt D-tap (12V, 2A), and Tilt USB (5V, 1A). Freefly claim that the MōVI Pro Batteries strike just the right balance between size, performance, and usability. They give users instant status information via an integrated ‘fuel gauge’ and feature a host of battery management and protections built into the pack. Freefly include 2 batteries and 2 chargers with every MōVI Pro. The maximum payload capacity of the MōVI Pro is 6.80kg/15lbs, which makes it suitable for a wide range of camera and lens combinations. 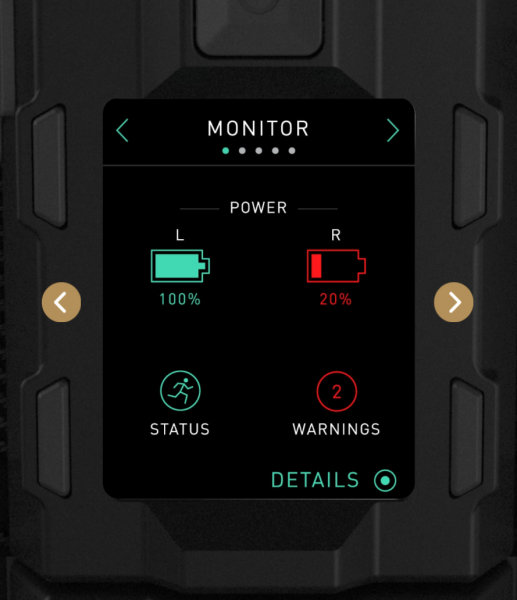 There is an integrated screen on the back of the MōVI Pro, that gives users quick access to vital information and the ability to tune/adjust parameters on the fly without needing to use a phone or computer. 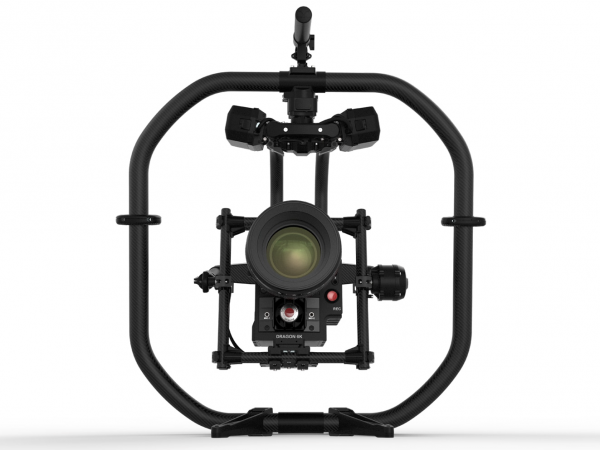 Freefly claim that the MōVI Pro has twice the torque of the first generation MōVI motors. It also features internal wiring to prevent damage/snags during usage. All the connections have been strain relieved and enclosed to ensure maximum reliability in a variety of weather conditions. The MōVI Pro can go from upright to inverted mode with a quick 180 degree roll. By using the versatile Toad in the Hole quick release system, users can quickly adapt the MōVI Pro to work on the ground, in the sky, and all points in between. One of the stand out new features of the MōVI Pro is its integration with RED cameras to allow users to access RED camera controls from hundreds of feet away using either the MōVI Controller or the new MIMIC controller. You can control all Movi settings, access to RED camera controls and FIZ (Focus Iris Zoom controls). MōVI Pro features the world’s smallest fully integrated 3-axis lens control system built into the camera stage. You can control all 3 channels with either the MōVI Controller, MIMIC, or a combination of the two. High performance processors and tuning algorithms allow the MōVI Pro to achieve optimal filter and stiffness tuning in ~3 seconds per axis with no user intervention. the MōVI Pro also has a claimed ~2 second boot time. Unlike previous MōVI gimbals, the MōVI Ring Pro features a built-in stand that allows the operator to quickly set the system down almost anywhere.